You know what it feels like when you get to the top of a mountain. Take a deep breath and surrender to the breathtaking panoramic view. 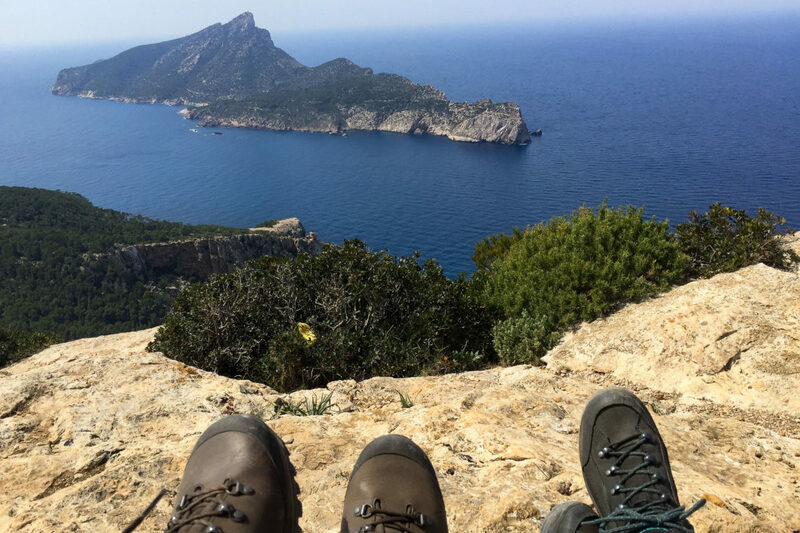 Mallorca offers many extraordinary hiking tours, most of them in the Tramuntana mountains along the Northwestern coast of the island. I love the proximity of mountains and sea, the blue sky merging with the Mediterranean on the horizon. My favorite hiking routes change with the season, its light, nature, and weather conditions. 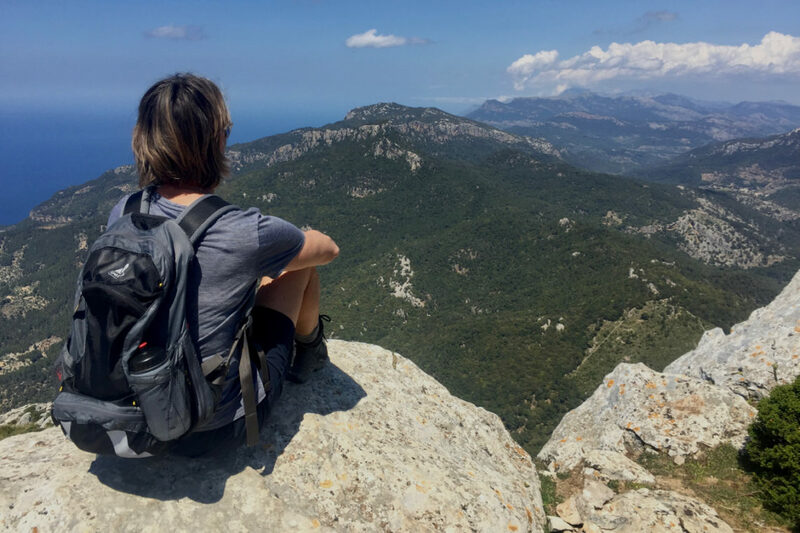 Let me introduce you to my personal all time Top 5 Tramuntana hikes. 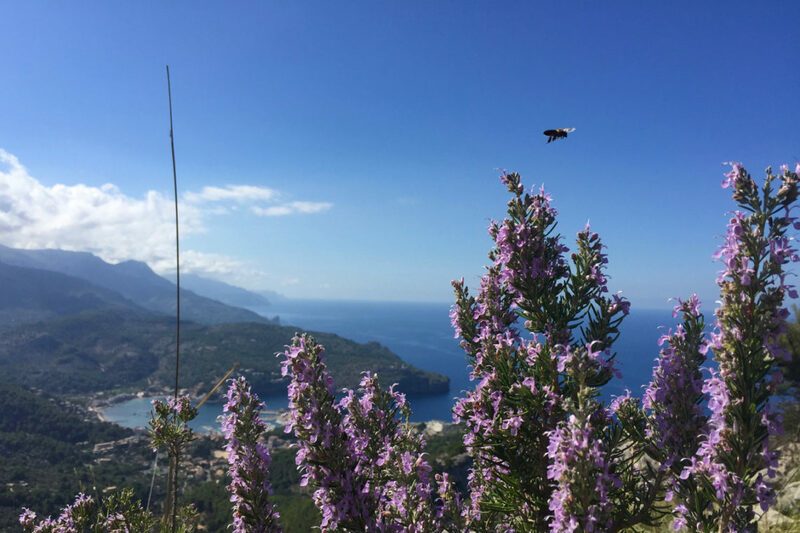 The signature mountain of the Southern Tramuntana is a landmark and a classic hiking area for locals and visitors alike. You can choose between different ascents and get a clambering bonus on the last stretch to the top of Galatzó. 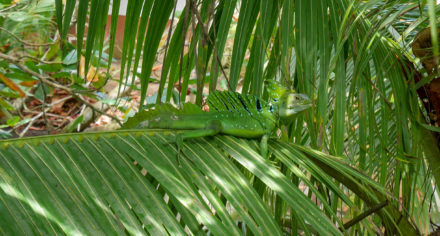 At the foot of the mountain there is also an easy walking-tour across the protected grounds of the public Finca Galatzó. A great destination for a picnic with family and friends. 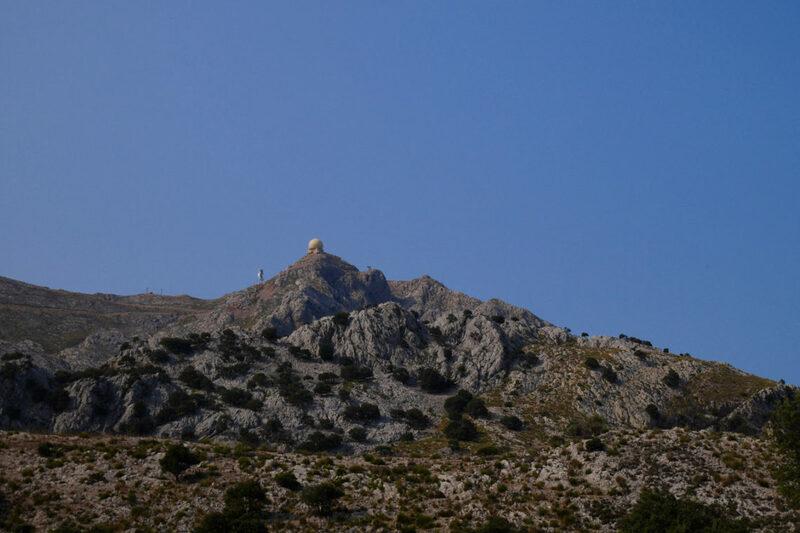 The twin peak mountain next to Puig Major is the highest summit on the island that is freely accessible. An exciting, varied way up rewards you with a stunning 360-degree view. 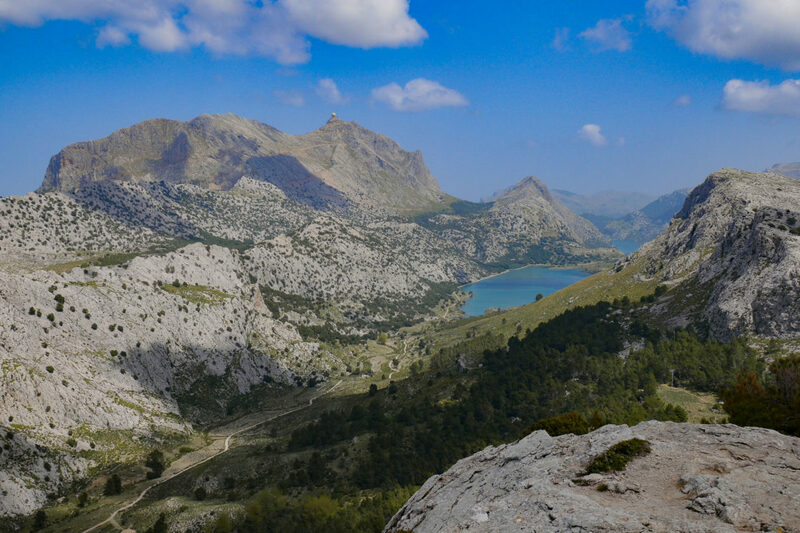 The major mountains of the Tramuntana, Mallorca’s water reservoir Cúber and the endless Mediterranean to one side. And the wide lowlands to the other. 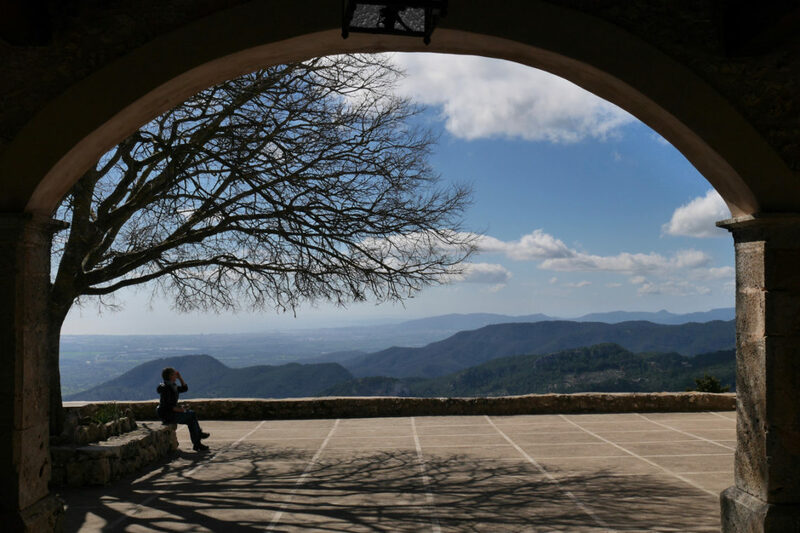 On a clear and sunny day, Massanella even allows a glimpse of Menorca and Ibiza. Starting at the Cúber my favorite route goes counterclockwise around Tossal Verds. The ravine leading almost all the way down to Alaró always reminds me of La Gomera and its steep barrancos, the island where I discovered my love of hiking. The tour leads through magnificent terrain with a halfway stop at the refugi. 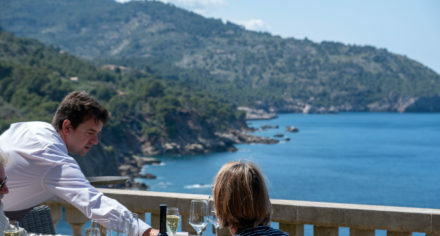 Sitting on the terrace I marvel at Puig d’Alaró and swap stories with other wanderers coming from Lluc, Orient or Sóller. 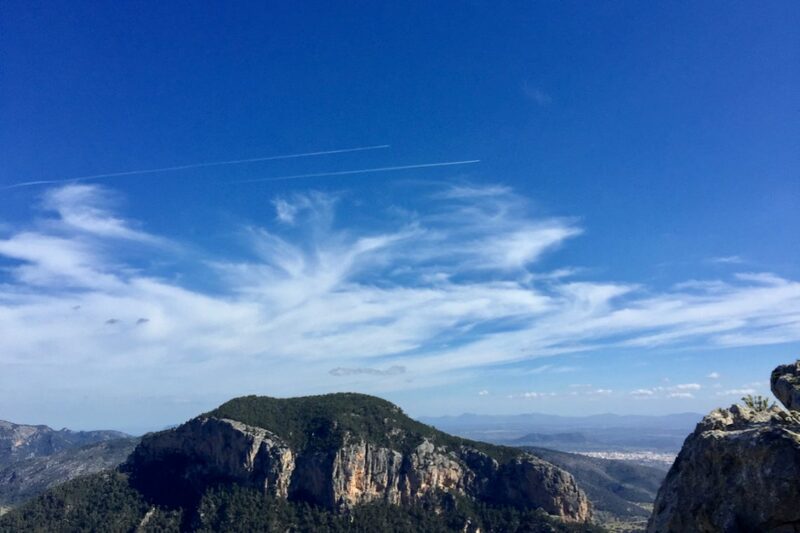 There are several ways leading up to the Castell d’Alaró. I love to start my hike in Orient. A narrow trail nicely meanders through a grove of ancient olive trees inhabited by friendly sheep. Later on a cobbled path with beautiful vistas leads you all the way up to the ruins of the legendary castle. A place in the shade in front of the refugi, a coffee and a piece of cake with the island to your feet is all you could ever want. 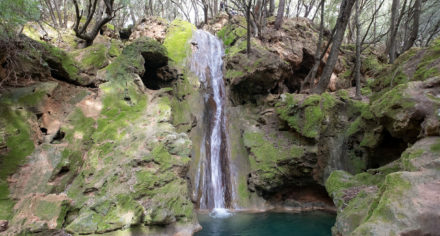 Sóller is the capital of hiking tourism on Mallorca. And Puig de Bàlitx kind of its local mountain.The way up from Port de Sóller across the northern wall though is a tough challenge. Including a couple of steep climbs that are close to boldering. But it’s deeply rewarding. With spectacular outlooks of the Tramuntana coastline, steep brims, a Gaudi-like cave and beautifully terraced hillsides. If you are into ambitious climbing nothing compares to Torrent de Pareis, Mallorcas’s Grand Canyon. On the other hand there are many easy tours for those who just want to walk and enjoy the mountains and the sea. 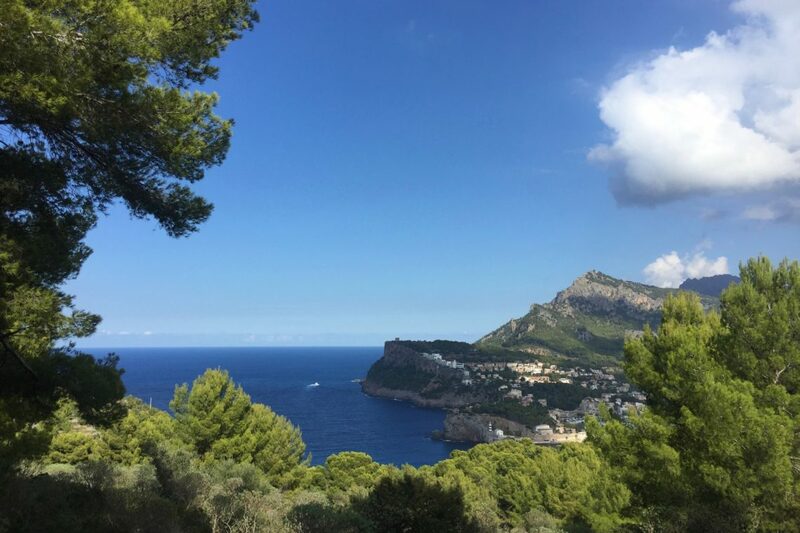 Like the hike from Port d‘Andratx to Sant Elm, the Camí des Correu to Banyalbufar, or the path alongside the ocean leading to lovely Port des Canonge.